Handsome and dangerous, Patrick MacGregor is a wanted man, possessing the tough, tenacious spirit of his outlawed clan. He will stop at nothing to save his people from destruction, even if it means marrying Elizabeth Campbell, the daughter of his worst enemy. Yet the flaxen-haired beauty disarms him from the start. Her sweet, unspoiled softness touches the cold depths of his ravaged soul–and makes him want much more than revenge.Inside the shy and dutiful Lizzie is a passionate woman longing to emerge, a woman ready for love. So when the piercing emerald eyes and searing kiss of a stranger spark in her a desperate hunger, she surrenders to Patrick’s glorious seduction–unaware that his daring deception has just found its one and only chance for redemption: a love more powerful than hate.From the Paperback edition. Elizabeth Campbell has a sweet tempered nature, but has a inner obligation to her family: duty which she lives every day and every night of her life. She dedicated her life to her family, even though most of the time they don’t take notice much of all that she does for them. She has had three past engagements, but neither pulled through to a marriage, of course the blame was not on her side. Both men thought her not up to their standards and so they left her high and dry. Lizzie has felt that she is less, that maybe there is some things that are wrong with her. She then hears word of her cousin that has land for her, but she knows that there is another man that her cousin desires for her to marry. So she goes to travel to visit him, on the way however they are severely attacked by outlaws, the MacGregors. Admist the attack, they are rescued by a band of fierce warriors, their leader claims to be Patrick Murray. Patrick, is the Laird of the MacGregors that are constantly hunted down and his people outcasts, barely able to survive. He desires his people’s land that have been taken from them, so he comes up with a plan, to fall into Lizzie’s good graces, to woo her, marry her so that he can obtain the land. He knows that it is necessary for both him and all that is left of his clan to survive. 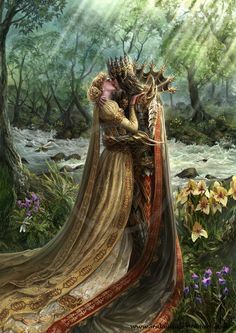 What he didn’t plan on was the enchanting woman that he finds his cold heart softening for. He knows that if he doesn’t succeed soon, that he is bound to fall in love with his worst enemy’s daughter. I found this to be such a captivating love story, and its filled with such delicate matters that at times it just breaks your heart. I just fell in love with Patrick and his duty to his people. Having watched his parents be murdered and the rest of his people driven out of their lands at threat of extinction, he has found a way to make sure that they will survive, but it will take sacrificing the happiness of the one woman he loves more than life itself. Lizzie is a charming yet sweet willed woman, who is innocent really in every way you can imagine. She doesn’t believe that she is really attractive or desirable, but Patrick is the one man that makes her feel that one and the one man she finds herself falling in love with him.I think the one problem that I had, is that when the truth is revealed, Lizzie has a hard time accepting it. But one would think she would be more understanding of his situation, so that was really my only problem with the way she treats him after she finds out the whole truth, when its obvious that he truly loves her. I also found, especially toward the end, this to be a very emotional tale that had my heart spinning with exhaustion wondering how this would turn into a happy ending. 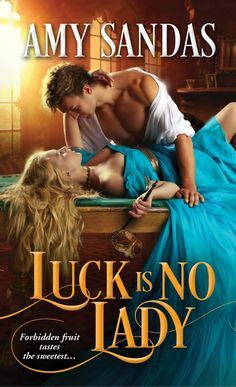 It is a very satisfying read, one that if you like a good historical romance with handsome men in kilts with swordplay, wooing and a bit of danger and romance involved, then this one you will be captivated by.